The uncertainty of the release surrounding Arcania the Fall of Setariff, due to legal issues with JoWood, saw this title vanish near its original release. Nordic Games decided to pick up the banner from this third person adventure, but its development seems to have gotten lost in time. 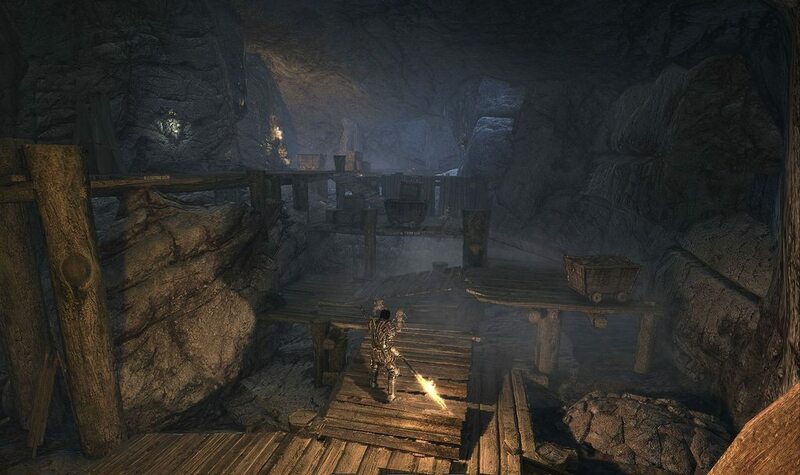 What’s left is a bitesized RPG with simplistic content, but adequate combat. However, it doesn’t help that its complete lack of polish makes it come across lazy and pushed towards release, instead of caring for it. Arcania: Fall of Setariff looks promising. While there are many options for the visual splendor of the game, the many glitches and showable texture seams break a lot of the otherwise decent atmosphere. The main character is a lot more detailed than his generic encounters, mostly with the same figure in different outfits. It is a shame, because with just a little more care, this game can almost tread alongside RPG experiences like Oblivion or other slightly aged games. There is certainly nothing wrong with the array of colors and lighting effects, but without a decent finish, it doesn’t come off as natural as the locales, such as grottos and pastures, might have to be. This goes hand in hand with lazy voice acting and good driving music at inappropriate times. Again, all are adequate enough, but not thought through; letting the ambience fall a step short in the end. 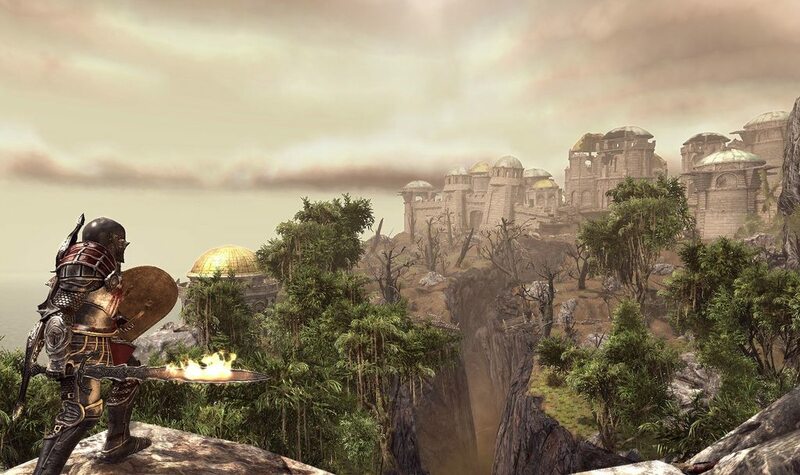 The game itself is an add-on following the fall of the city of Setariff, after the events in Gothic 4: Arcania. Forget, however, that Gothic is the core franchise, because Arcania breaks off from the prior more open-ended iterations. Its gameplay is made basic and accessible for all in fairly linear fashion; best playable with a controller nonetheless. Players can choose from 3 hero classes: Magic, Melee and Ranged or import their character from the main game as a plus. The story starts after a volcanic eruption and then plops players into the world of RPG. Talk to some characters; get some quests, walk forward, kill and loot. Pro-tip: Don't fall into the giant pool of lava underfoot. Heroes don't like lava. Luckily, the combat flow is rather presentable, even if the lock-on mechanism and response time can be fidgety. After assigning points to the appropriate tier, players can unlock skills, rather than upgrade traits in more traditional games. These special skills vary and offer either ranged, melee or magic benefits, best suited for each class. In particular, dealing flurries in melee is well-designed, as a successful input generates more attacks, more blows and more damage in a rhythmic rotation. Each class starts with their own specialty and can assign points from there. Magic spells gain more potency over time and more powerful range shots can pick off enemies from afar. In particular, the Ranged hero is deadly with a bow; leaving most enemies dead with a well-placed shot. For some reason, these prisms are constantly ejaculating. Fascinating! This is sadly also one of two of Fall of Setariff’s biggest problems: It’s a little too easy. There rarely is a time for characters to be caught off guard and even then, the slew of consumable items can save any indiscretion. Most enemies fall quickly and that from start to finish. Even mobs can adeptly be handled with the proper skills and the final challenge is only harder if no skills have been attributed to ranged combat. Our hero can also craft items from materials, which help out even more and make the recovery of the land a walk in the park for this lowly shepherd. New game characters start at level 28 and already have brilliant equipment, but also quickly find devastating weapons; except for bolts, which are rare in this short stint. The second biggest issue is this game’s length. At a steady pace, it will only take up to 8 hours to get through the few linear quests, get a brief time actively viewing other characters’ perspectives and have a few laughs with minimal dialogue. Luckily, a hardened difficulty can offer some replay value, but given the ease of a normal game, the hardest setting should be standard to get the most enjoyment. It all feels like it should’ve been more, although they at least got the basics of combat right. As a redeeming quality, it works. 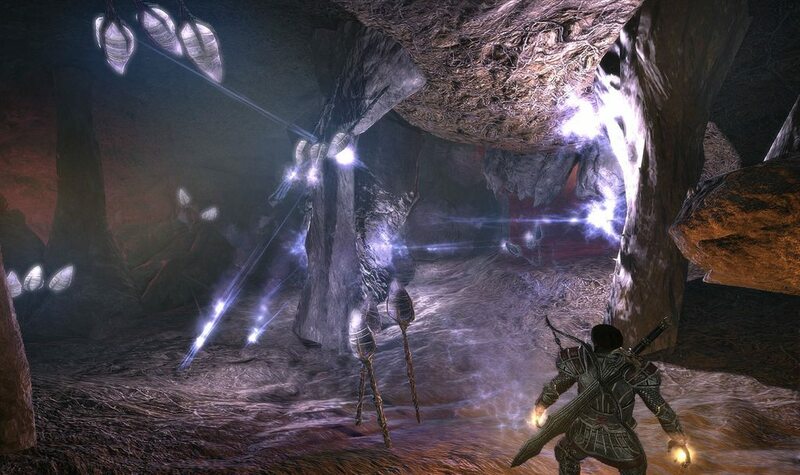 Caves in Arcania: Fall of Setariff look like caves. True story. But when it comes down to it, Arcania: Fall of Setariff is a stand-alone add-on with the most minimum of content. Fans of the series or genre might want to explore its decent atmosphere, but it’s a hard sell once out of its comfort zone. The world is adequate and the actual gameplay is its biggest asset, luckily; but its shallow attempts leave a taste for more in this barebones RPG treat. It could’ve done more; it should’ve done more. But most of all, it lost the glory it once had, by staying still and looking forward, instead of actually moving forward.